The following comments about attractions in Christchurch have been posted from individuals. We believe that the best reviews of Christchurch, New Zealand are written by travellers and holiday makers who have experienced Christchurch first hand and want to share their thoughts. Can you share yours? Please help us expand this section of our Christchurch World Guide. 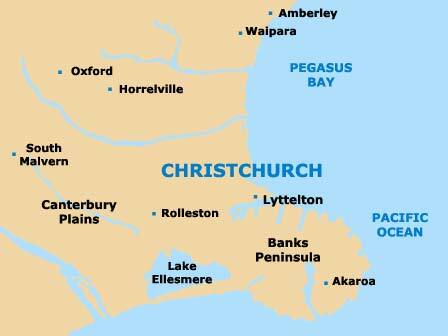 Let us know what you think about the attractions in Christchurch, New Zealand. Submit comments about Christchurch attractions here. Christ Church Cathedral is an iconic building and this is one of the most visited sights on the New Zealand South Island. It has something like 300,000 visitors every single year. It was built in the 1860s and you can climb the 130 or so steps to the top and look out over the Cathedral Square - I'd recomend you do that. I took some nice snaps from the top, although those stairs were pretty steep! Lots of people go for a ride on the gondola every day and I looked like sure fun that we thought we'd have a go. We could see virtually everything, from Lyttelton Harbour to the mountains and beyond - and of course all over Christchurch and the Canterbury Plains. The gondola ride is around 1,000 metres long and rises to the peak of an extinct volcano. There is a scenic Bridle Pathway that you can walk down if you like. Similar attractions are also operated by the same company - Gondola New Zealand. These are punting on the River Avon and the Christchurch tram. You can combine tickets for all of these and save a little money, although we didn't botherm, because the gondola did it for us. The Botanical Gardens are close to the city square and is was a real oasis, like a real English garden, with lots of flowers and trees. When we'd finished looking around the gardens, we hired a kayak nearby and went down the Avon, or go could also go for a punt. Please note that these Christchurch, New Zealand comments and reviews are posted by individuals and are not necessarily the views of World Guides.